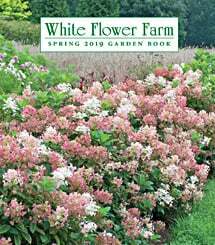 Because Panicle Hydrangeas bloom on new growth, they typically flower normally even if the twigs have been killed back by frost. Plant in a sunny, well-drained spot; some early afternoon shade is beneficial in hot southern regions. Prune in late winter or early spring. When we got these, we ordered 2, one was already dead and the other one died within a week. My mom tried to baby them to get them to live but it was no use. They were so dried out and one had no leaves on it, the other minimal or brown, dead leaves. I would not reccommend you to anyone. It has been difficult to find a way to notify your company so I resorted to this review! I expect this to be honored and made right, when someone trusts you and you fail to deliver you lose business, you have lost ours unless you make this right. I live in rural Idaho so it usually takes a little longer for deliveries, so when my plant arrived last spring it was very dry and sad looking. After soaking in water it looked much better although a little rough around the edges. I did not get plant it right away as recommended and was worried when I did get it planted if I had waited to long. But it did grow and even got a few blooms on it which were beautiful. It came back this year and is growing just fine and looks great. Can't wait for it to bloom! My dear friend ordered one for her and one for me. Hers has done well while mine has pretty much died. When I planted it I noticed that there was not much for roots and I think that's why mine did poorly. I am ordering another because she was so proud to give this to me. She knows I love hydrangeas and have many in my yard.